The ideal tool for leveling orchard floors from side to side. The "V" Blade Leveler knocks down the high spots and fills in the low areas. 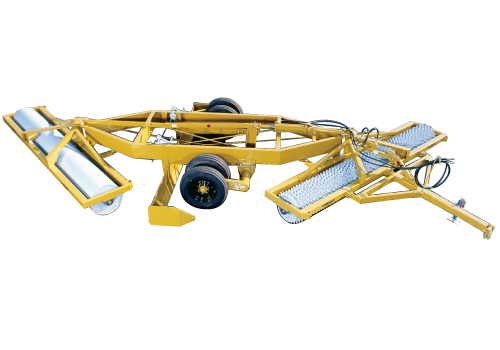 The Bantam Leveler is an economical solution for the price conscious grower who needs to efficently move a lot of dirt. One of the most versatile tools you can use. It levels, smooths, pulverizes the soil, fills depressions, and packs it all in one operation.